The tactic proved to be a bad judgment call, ending with YP Threads apologizing for the email. Some may argue the strategy raised publicity for YP Threads. In the end, their approach still served as an example of bad marketing practices. Coming up with an effective strategy can be difficult. 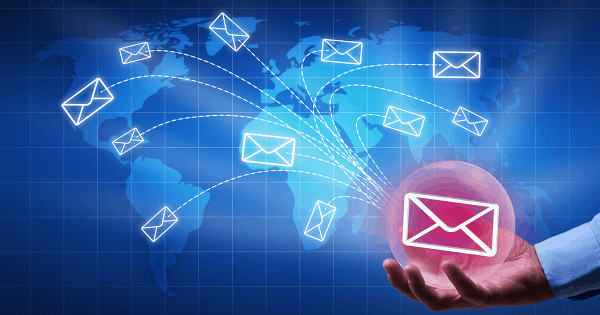 Firms specializing in email marketing campaign services would gladly tell you. Marketers sometimes forget what might work isn’t always what might be best. It’s time to review which email practices you should avoid. Nobody cares about how many people you have on your email list. The point is that you get your message across to the people whom you want to sell to. Having an email list longer than the Great Wall of China doesn’t assure you email opens or conversions. It’s all about reaching the people who are most likely to care about your business. Think about it. How many times have you received an email from a company whose services you had no interest in? Maybe it was an email about car repairs, and you don’t even have a car. Trimming down your email list to a fewer number may make you think twice, but it actually guarantees better results. Try it. They’re called “opt out” for a reason. Give your subscribers the choice to refuse being sent future emails, and don’t give them a hard time about it! Sometimes email marketers do it to retain subscribers, but that just means you’re more likely to be identified as an annoying brand. It’s not personal-it’s marketing. While there are people who don’t want to hear from you, there are people who still do. Either way, respect people enough to give them the option to unsubscribe. Emails that only contain words like “free” or “buy now” aren’t exactly timeless. Sure, it works for your CTAs, but when people receive emails, they want to be engaged. Emails are an outlet for you to get creative with content to drive your customers’ attention. Your customers are in the 21st century as you are and they’re smart enough to get tired of the same word usage. Give your users quality content. That way, they’ll enjoy opening your emails and even look forward to receiving more. US-based makeup brand Glossier sends their customers updates, promos, and even random content that’s aligned with their brand personality, such as wallpapers for customers and a photo of a baby goat smiling. You could get in trouble for your subject lines. Sometimes, marketers want a quick way to get customers to open their emails, and a way to do that is to engage them through the subject lines. When marketers have a chance to do this, sometimes they cause panic for their customers. One furniture store emailed their customers a “receipt from the future” with the subject line “Thanks for your order!” as part of their April Fools ‘ Day campaign. Some of their customers ended up panicking over a false order before realizing it was a marketing ploy. The last thing you want to do is strip off the trust your customers have with your brand. After all, gaining trust is more important than grabbing their attention. Find other creative ways to engage them with your email campaign. Sometimes people get caught up in their marketing that they don’t realize their methods carry consequences. So whether you’re setting up your own strategies or hiring email marketing campaign services, take note of these practices and avoid them.